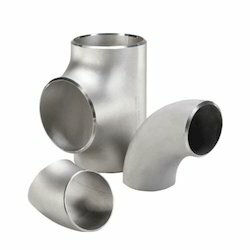 As a reputed firm, we are engaged in supplying, trading and exporting a quality range of Buttweld Fitting to meet the needs of our customers. 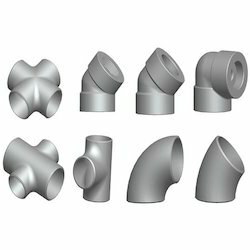 All these fittings are available in different sizes and dimensions as per the needs. Inconel 625 is a nickel-based superalloy with excellent resistance to oxidation and corrosion, in conditions ranging from jet engine propulsion systems to chemical processing of oxidizing and reducing acids. The nickel-chromium matrix of Inconel 625 is reinforced by the addition of molybdenum and niobium, which is alloyed through solid solution strengthening, and this allows it to maintain high strength and toughness at temperatures ranging from cryogenic up to 2000 DegreeF (1093 DegreeC). It is non-magnetic, austenitic, and displays high tensile strength, fabricability, and brazeability. Due to its high nickel content, this alloy is nearly immune to chloride ion stress-corrosion cracking and pitting, which is commonly found in metals in seawater applications like heat exchangers, fasteners, and cable sheathing. 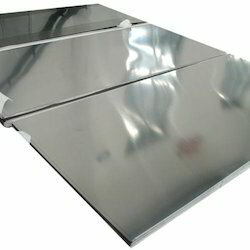 Keshariya Metal is engaged in manufacturing and supplying a wide range of17-4PH Stainless Steel.Under this category, we offer Various Size in Sheet.